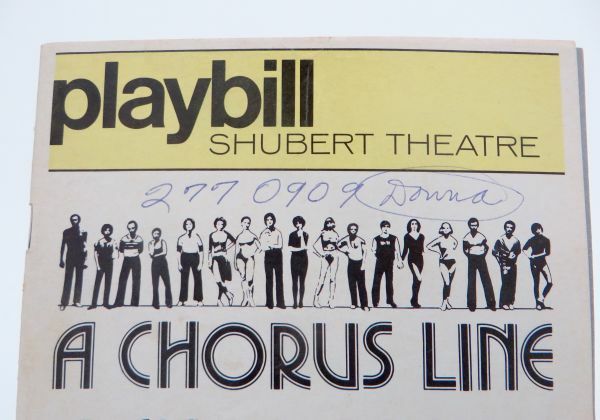 “A Chorus Line” opened on Broadway in 1975, and by 1976 it was already touring. 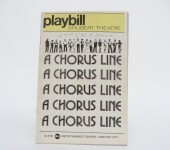 It held the record for longest running Broadway Show for over 20-years. 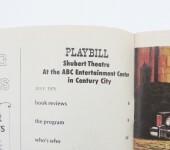 Rue was in “Maude” at the time and living in Los Angeles so she had to wait to see it until it opened there. 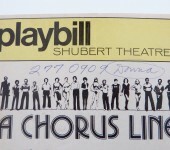 Luckily, some of the original Cast transferred from Broadway to the Los Angles production and so Rue was able to see “A Chorus Line” with Donna McKechnie in the role that made her famous – “Cassie.” Rue could spot talent, so after the performance she went back stage and made a beeline for Ms. McKechnie. With Rue’s dance and acting backgrounds, she knew that Ms. McKechnie was the real thing. 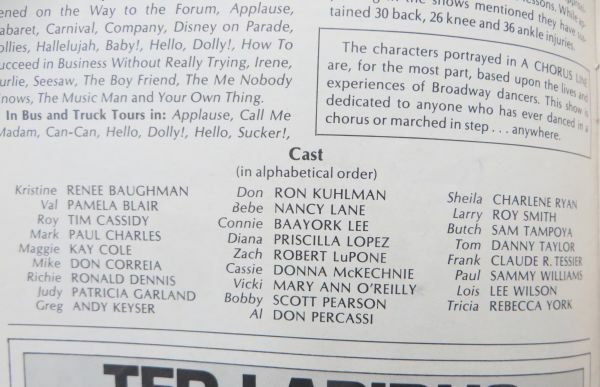 Donna McKechnie jotted her number down for Rue on the front of her Playbill and here it is – 40 YEARS LATER! 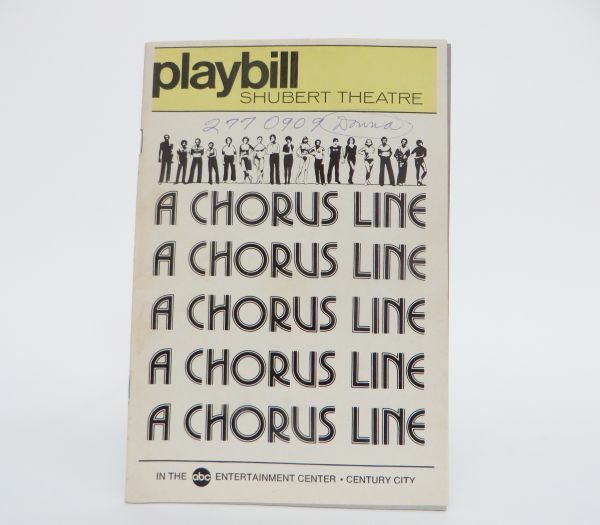 This piece of Rue McClanahan and Donna McKechnie and Broadway history comes with prints of the photos shown and a Certificate of Authenticity from Estate of Rue. 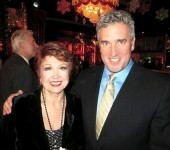 By the way, I was recently at an event here in Manhattan and ran into Donna McKechnie – see the photo posted. She looks great, right? 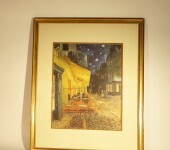 This print is entitled “Cafe Terrace at Night” and it was painted by Vincent van Gogh. We have no idea what this framed print is worth. Rue bought it along with a Latrec lithograph at a gallery in Manhattan, but it is still just a print, right? 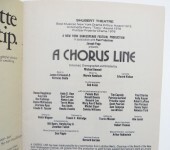 Although the Latrec print, because it was signed, was recently valued at $6,000, so who knows? Anyway, this piece hung in the rental Rue moved into when she first moved back to Manhattan – she needed some art to cheer the place up and that was why she visited the gallery and bought the two pieces. 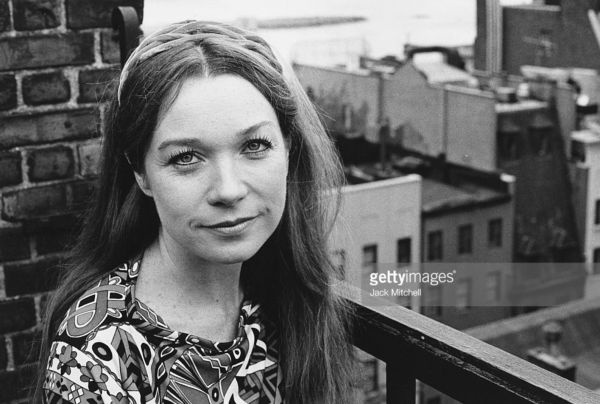 Later, it went with her to both Manhattan apartments she owned and it hung in the main hallway of her final apartment until her death. The piece measures 32″ x 26.25″ and it comes with a Certificate of Authenticity from Estate of Rue. Rue McClanahan LOVED police officers in uniform (and out of uniform! ), and the feeling was mutual. 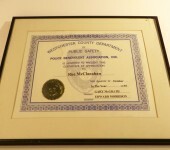 The Police Benevolent Association presented Rue with this framed Certificate of Appreciation back in 1997 when she first moved back to New York. 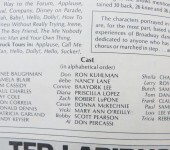 The piece measures 14.25″ x 11.75″. Rue’s framed Certificate of Appreciation comes with a Certificate of Authenticity from Estate of Rue. 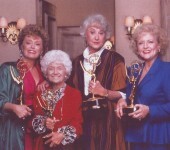 You might recall, we had listed Rue’s original signed “Golden Girls” contract for $2,500, which we admit, was alot of dough. Many fans asked if they could buy a copy of the document and after consulting with Rue’s family, we are now able to offer some numbered copies for a much more affordable price. The bundle includes the following: a copy of the little 4″ x 6″ note card that was attached to the stack of papers when they were forwarded from Rue’s agent to her home; a copy of the letter from the lawyers who prepared the documents to the agents at I.C.M. 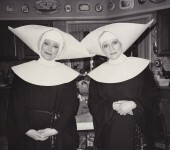 ; a copy of the original 2-paged basic agreement; a copy of the 1-page “Inducement Letter;” a copy of the original 9-paged contract that includes the schedules and attachments; and finally a copy of the signed pick up letter when the producers exercised their “option” after the success of “The Golden Girls” pilot. The contract has all the details for the pilot and Rue’s compensation for many seasons. 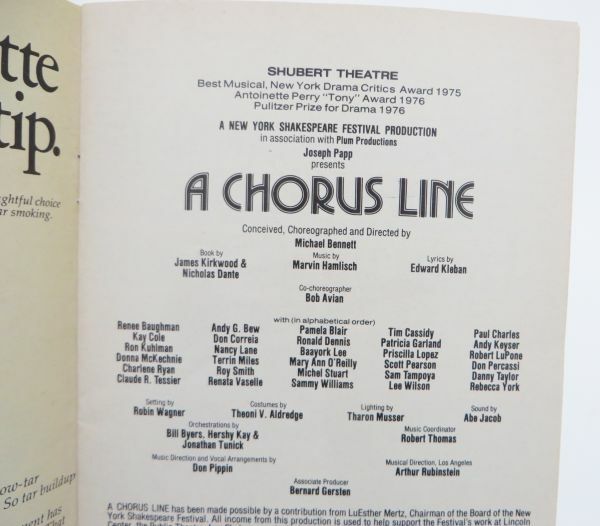 Of course, after the huge success of the show, Rue hired a pitbull lawyer – who she got from Jean Stapleton, but the way – and broke her contract so she could make some BIG MONEY! Comes with a Certificate of Authenticity from Estate of Rue. 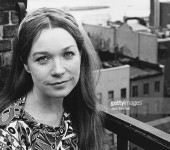 We’re listing this under “Manhattan Apartment” because that is the only house category we have here on estateofrue.com – and we have no idea how one goes about adding another category to the page – but this piece actually came from Rue’s California house via her Texas house. This is the first item we are posting from Rue’s Texas house, too! After six years we are FINALLY ready to start digging into that mountain of stuff. What happened is when Rue sold her California house, she shipped the contents down to her Texas house in an 18-wheeler truck; and to this day much of it is still in the boxes she and a friend packed almost 20-years ago! 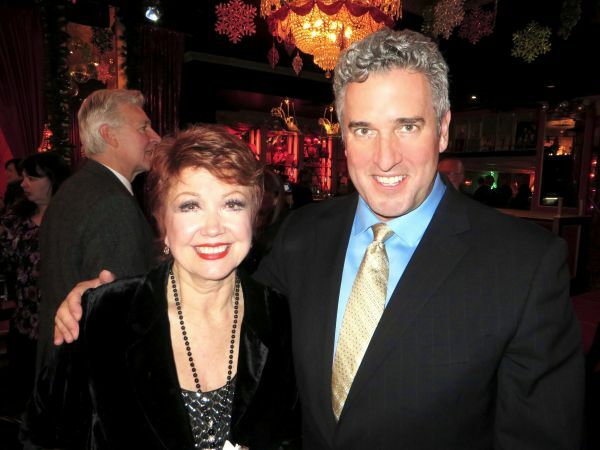 Get ready for a whole new supply of Rue McClanahan treasures. 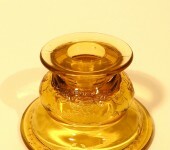 First up is this golden Depression Glass candlestick. 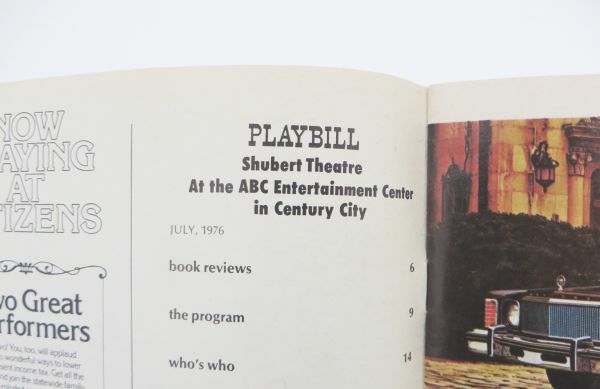 It is 2.25″ tall and has a 3.5″ base. Rue’s candlestick comes with a Certificate of Authenticity from Estate of Rue.